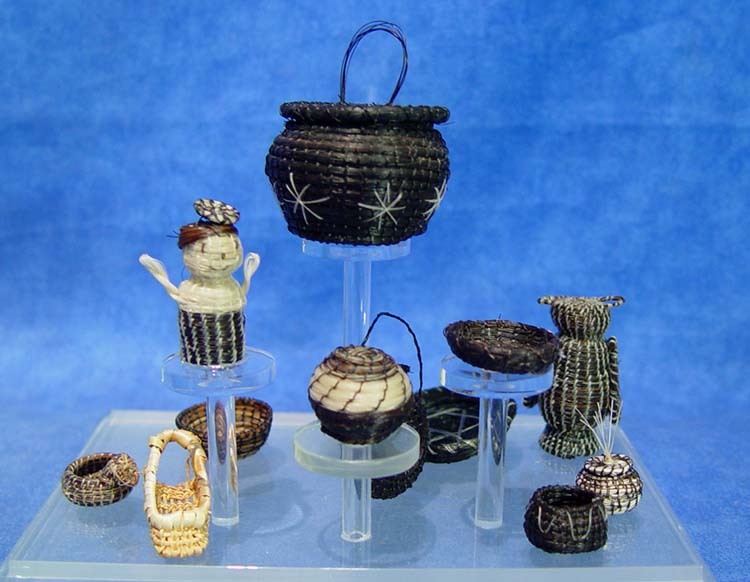 A collection of Pima miniature horsehair baskets. Horsehair is often used in fine, miniature Pima Indian basket weavings. Often, both light and dark horsehair will be used to create contrast and design within the basketry. Click here to view all available Pima baskets.